Our day to day life is full of hazardous situations. Many among us get hurt in an unexpected manner and for no mistake of ours. When we get hurt due to the carelessness or casual attitude of other people, we are eligible for legal relief. Commoners, many a time, are ignorant about the legal relief they are eligible for when they get hurt due to the callous attitude of others. 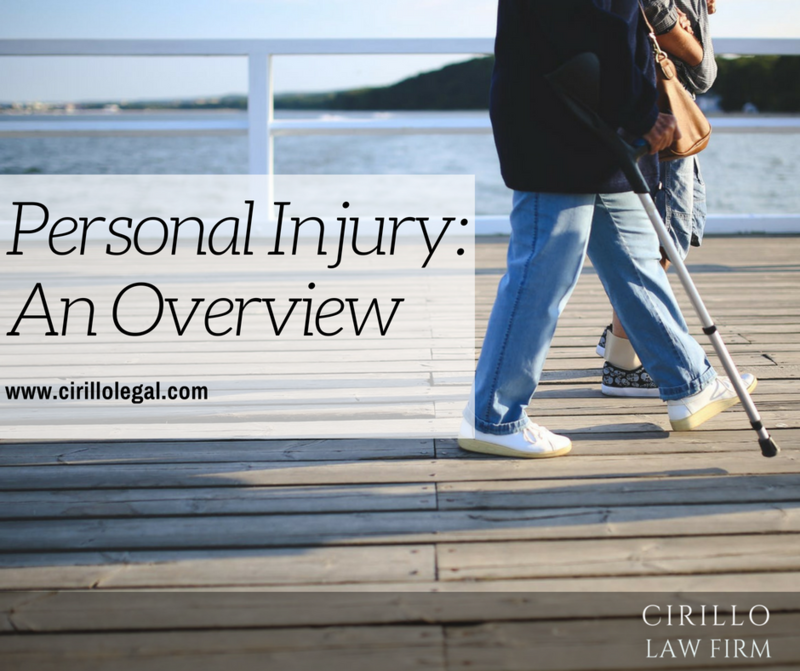 To understand more about the various branches of Personal Injury and the possible relief Law offers, get in touch with the personal injury law firm New Haven, CT. Let us have a brief look at areas that are covered under Personal Injury. All accidents that cause injuries to people fall in the Personal Injury category. Such accidents may be caused due to careless driving of Motor Vehicles, improper maintenance of floors and staircases that make people slip and fall, all accidents that are caused due to hazardous properties of things and accidents caused while operating products that are produced in a defective manner. When you get hurt due to accidents caused by such issues, you are eligible to claim compensation for the personal injury suffered. Cirillo Law Firm is considered as one of the leading personal injury law firm New Haven, CT. The Law Firm has been considered as holding some of the most dependable Legal advisors in the region. The Legal Professionals attached with the firm provide the best possible solutions to all their client’s issues. Right from understanding the client’s requirement for helping them get their claim for the personal injury they suffered, Cirillo Law Firm offers end to end legal solutions. Get in touch with Cirillo Law Firm, the best personal injury law attorney in New Haven, CT for all your legal requirements pertaining to personal injury.